Exit Goldilocks. Enter Leelin Bakery & Café. Such a bold move in business management – all because of a new marketing thrust that is aimed at meeting head-on the significant shift in the store’s customer demographics. “The changing habits and needs of our growing number of consumers made us rethink the future,” revealed Mendrei Leelin, President of Leelin Enterprises, who is principally behind the six store chain operations in Southern California since it was handed down to him by his father Manuel Leelin almost 38 years today. The Leelin family has been residents of Cerritos for the past four decades. The total concept of the new Leelin Bakery & Café comprises place renovations, enhancement in table and food presentations, and several new product developments—all geared towards drawing the mainstream consumers as well as maintaining the core customers of the store. The store ambiance will proudly depict the rich historical and cultural heritage of the Philippines, the owners ‘country of origin. Even in their coffee, the owners are introducing indigenous Arabica that is grown in the Cordilleras and Liberica cultivated by the Mangyans of Mindoro. The store branch in Eagle Rock recently held its grand opening with Philippine Consul General Hellen-Barbers De La Vega as special guest. The other stores will follow suit with the one in Cerritos scheduled on April 8. Leelin Bakery & Café is also present in Panorama City, West Covina, Vermont in LA and North Hills. 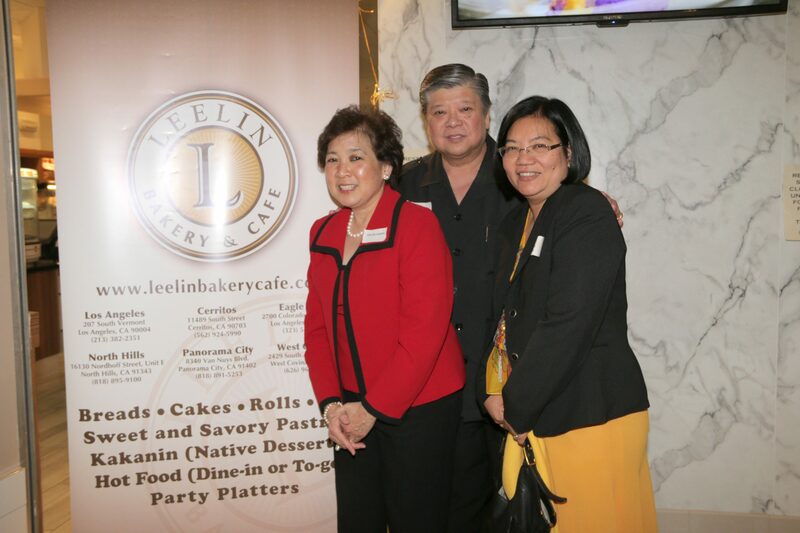 The marketing of Leelin Bakery & Café will be launched via media mix in print, television and social media. Just in TV alone, we have lined up for TFC,ANC and Lifestyle a total of 191 exposures every month plus occasional segments buys that lasts three minutes per showing. They just cut their new and catchy jingle sung by Lani Misalucha, the much-acclaimed Filipino-American diva based in Las Vegas. Soon to be implemented is the store ad campaign directed at the mainstream consumers that goes, “For a Taste of the Philippines, Come & Visit Leelin.” For its traditional Filipino ad comes a fresh tagline that is inherent of Filipino hospitality, “Kumain kana ba?” ( Care for Something to eat?) “Eventually, we are look forward to seeing lines in our stores,” mused Mendrei. Back to the reasons behind the huge transformation after almost 8 years in the business. The Leelin company is also involved in wholesale supplying not only popular Filipino supermarkets but including well-known mainstream retailers such as Ralphs and Albertson’s among others with product lines under private labels. In charge of these operations is Mendrei’s younger sister Carmela Leelin, Vice President for Product Development.